Keret Accommodation offers unrivaled accommodation elegance with magnificent views of Cape Town, Table Mountain and Table Bay. We are located in a quiet area in the Northern Suburbs of the city of Cape Town. The air conditioned Keret accommodation Luxury Apartments are tastefully furnished in shades of burgundy, champagne gold and navy blue with touches of mahogany in the leather and wood finishes throughout. Find out why Keret is your ideal self-catering base to explore Cape Town and its surrounds. Welcome to Keret Accommodation, Cape Town South Africa. Explore our website to find the latest news, events, things to do in and around Cape Town, recommended, day, self drives routes and much more. Keret Accommodation offers prime, central and secure self catering accommodation. 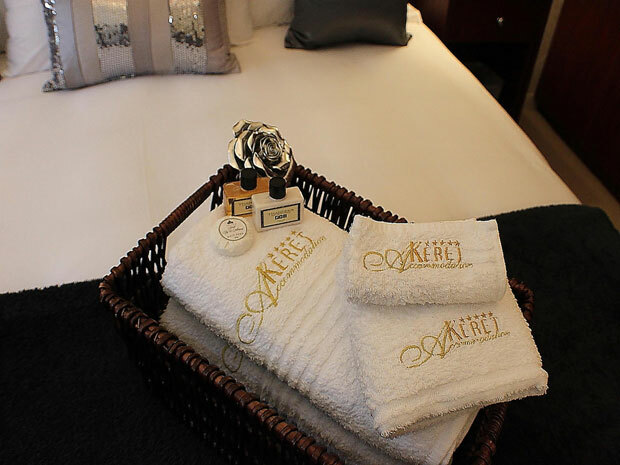 View our amazing rates, daily specials and our superior accommodation on offer. Keret Accommodation is located on the rolling hills of Tygerberg Nature Reserve. Keret offers amazing views of the whole Cape Peninsula. This prime location is central as well as secure and affords guests the convenience of being in close proximity to the City Centre as well as to Cape Town International Airport and various places of interest and functionality. Keret Accommodation is located just off the N1, South Africa's main highway, offering an excellent base from which to explore Cape Town and the greater Cape Peninsula and the Western Cape.